when we can't play media files like mp3,flv,mkv etc.. on our computer system. it's usually because a Codec is missing. without codec you can't play media files on your operating system. so what to do on that kind of situation ? You can either Install a new media player which can able to play that file or you can Download that specific codec and install it or you can install the whole codec pack on your computer system.so it can able to help media players to play other popular media file formats . The Developer of windows 7 and windows vista codec pack has released a codec pack for the latest operating system of Microsoft Windows 8 ! after installing The windows 8 codec pack. 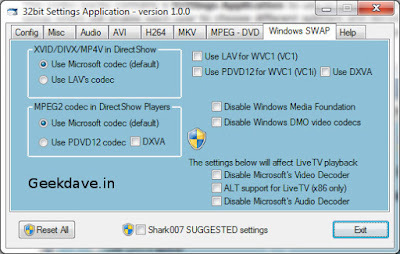 your windows media player can able to play all other popular media files !.windows 8 users can Download this amazing Codec pack from here .